A short customer relations post that explains where a lot of small businesses fall down. For any small business, customers are the lifeblood that keeps them going. This is true no matter what your business model is, be it B2B, B2C or both. There is still a huge amount of small businesses that “drop the ball” when it comes to customer relations. With more and more online businesses vying for our local market, and more ways than ever to communicate to your customers, not having a plan in place to regularly talk with people who are your customers can be the difference between repeat business and no business. So how do you keep all your customers in the loop, without spending every waking hour online checking for feedback or questions and updating pages, blogs and other social media? 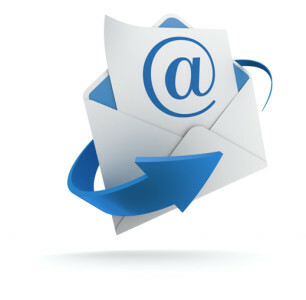 The answer, surprisingly to some, is to use email. There are a lot of people out there who think that social media is the be all and end all of communications in this age of Facebook, Google+, Twitter and the other ever increasing range of social sites. Indeed, these sites can play a big part in marketing your business to the world, but they are also extreme time wasters, time better spent on more reliable methods of interacting with your customers. To better understand this, take Facebook as an example. 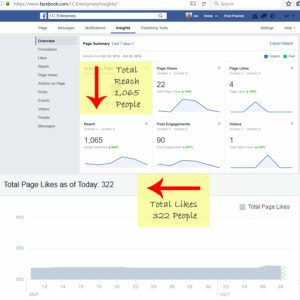 It doesn’t matter if you have 25 or 25,000 fans on your page, unless people are interacting with you on a regular basis, you message may be only being seen by 5 – 10% of these fans. Think of that as opposed to emailing your customers, where statistically there is a 80 – 90% open rate of your email message. That is a huge difference in getting seen by your customers, and in an upcoming post I will be talking about how to get your customers to give you their email addresses, and then both share your emails and take action on them (hint, it’s all in the wording). Be sure to keep your eye out for the next part in this series and if you would like to know more about email marketing as part of your client communication plan, be sure to sign up for my newsletter (top right) where you can get my free report and learn more about creating a better business marketing strategy. You make excellent points here. It makes me think of the newsletters I receive.